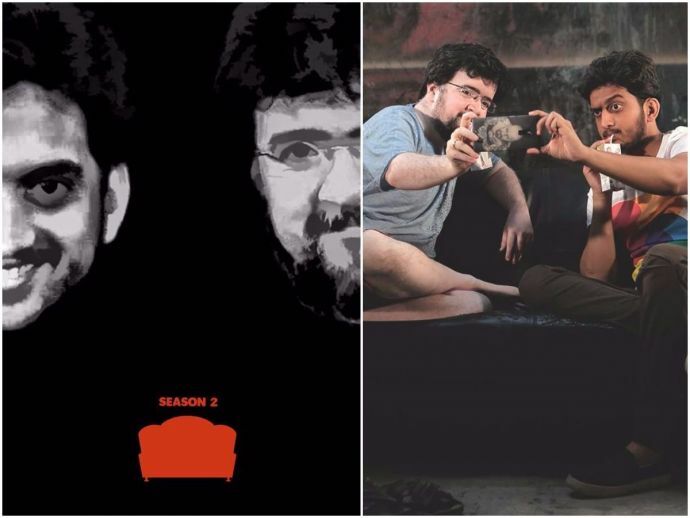 The second season of "Casting Couch" is on it’s way and we are excited AF as to what new nautanki Amey and Nipun will be up to this time around. The two most favorite wannabe filmmakers will be back with their couch soon! Amey Wagh and Nipun Dharmadhikari tickled our funny bones and annoyed us every now and then by bringing our beloved stars from Marathi industry. Now, that the second season is on it’s way, we are curious as to what new Nautanki will Amey and Nipun show this time. Season 1 was a surprise hit and was graced by stars such as Radhika Apte, Shriya Pigaonkar, Swanandi-Pooja-Sakshi, team Sairat, Priya Bapat, Reema Lagoo, Sai Tamhankar and Mahesh Manjrekar. Our little birds have told us that the first guest is going to be a noted Bollywood Director! Guess who is it going to be? Nevertheless we are sure that it will entertain us twice as much than the previous season.